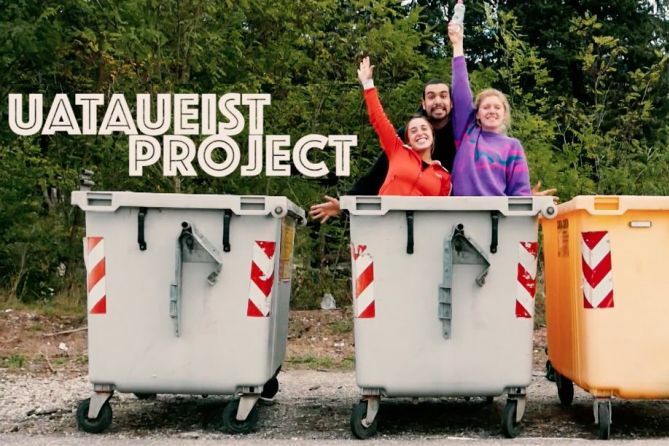 UATAUEIST is a collective founded by Alessandra Francolini, Rebekka Gather and Santiago Bello. Coming from Italy, Germany and Colombia, we met at Accademia Teatro Dimitri in Switzerland, in 2015. Inspired by our different cultures and backgrounds, we combine physical theatre, circus, dance, music, video art and puppetry. We are in continuous research to face social problematics in an artistic way.